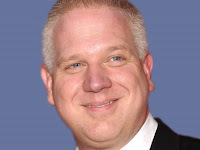 It's been argued by reporter Alex Zaitchic, author of Common Nonsense: Glenn Beck and the Triumph of Ignorance, that Glenn Beck's primary motivation in his enterprise is Glenn Beck's bank account and portfolio. The Glenn Beck Review questions Beck's main motivation based on his actions, specifically with respect to Beck University, the online propaganda instruction for understanding the historical revisionism of David Barton and others rewriting history for their reactionary agenda. Barton's primary agenda is to tear down the wall of separation of church and state, but is that true for Beck? If Glenn Beck were primarily interested in what he says that he is, i.e., restoring America to pre-Progressive Era, to a Christian government with non-involvement in the economic activities of the country, then his Beck University would be free. If he were a really committed reactionary dedicated to his cause as he pretends to be, Beck can certainly afford some discount, at least for new subscribers to Insider Extreme, his paid, online access to the "university." Shy of that, if he really wanted to build an army of misinformed, reactionary partisans, Beck could put his money where he mouth is and commit all income derived from new subscriptions to the named charity of his choosing or to people of low income who want to but cannot afford Insider Extreme. Will magnanimous become a word associated Glenn Beck? Don't hold your breath. You also confuse the comparison of Beck vs. Maddow or Mathews. Never mind Oberman he is an idiot him LOL! Beck has never claimed to be a journalist and should not be held to the same standard. Journalists indeed should be held to that standard and there in lies the problem. Without Beck, would anybody have known that Van Jones, an admitted Communist and supporter of the Truthers? Brad, I'm not confused in the least. You are. Van Jones WAS a Communist. Glenn Beck was a drunkard. Van Jones changed; Glenn Beck changed. Also, the organization that Van Jones was with at the time his name was put on the Truther list put his name on that list. He had it taken off. Your lack of knowledge about Van Jones is astounding, but that's not unexpected from someone informed by a charlatan and a yellow propagandist. You think I compared Beck to Maddow? You make me laugh. Beck is a yellow propagandist. You read a post where I quote him saying that he is not a journalist, and I don't hold him to that standard. He said he is a thinker; and I point out over and over that he's pretty damn shallow and uninformed as a "thinker."